Receive God’s tender care and mercy anew each day. Get a free full issue! Stress. Illness. Fatigue. Loss. Anxiety. Jesus experienced them all too. 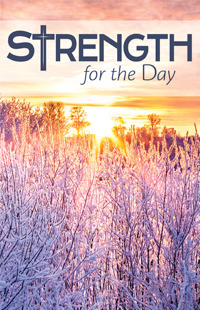 Published monthly, each issue of Strength for the Day points you back to God’s love during all issues and emotions. The devotions include Scripture, hymns, prayers, articles, and meditations, all focused on God’s hope and forgiveness of sins. 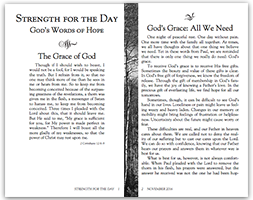 A wonderful resource for the hospitalized, the grieving, and the homebound. Get a free full issue of Strength for the Day! Check out all of our magazines at cph.org.